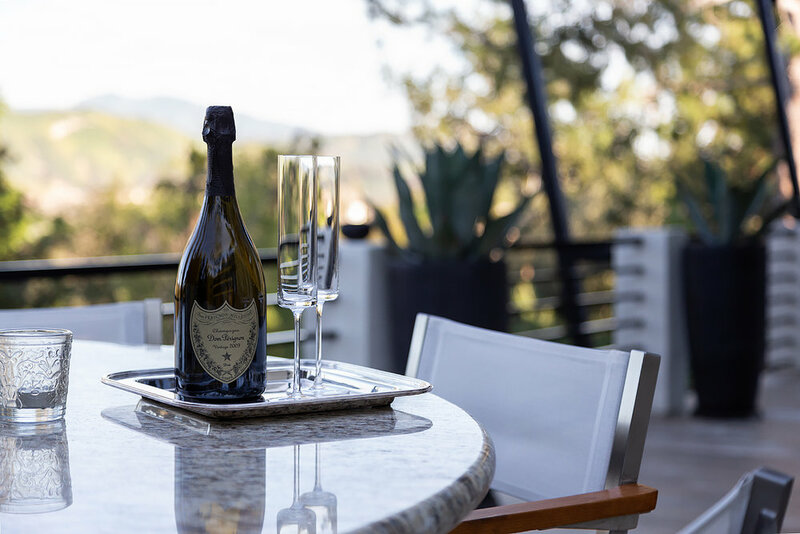 Nestled amid mature trees and a bounty of lush surrounds in an exclusive neighborhood of the Tustin Hills, this masterfully crafted, highly remodeled estate boasts splendorous views of verdant rolling hills from its exquisite contemporary design space and extensive multi-level patios. 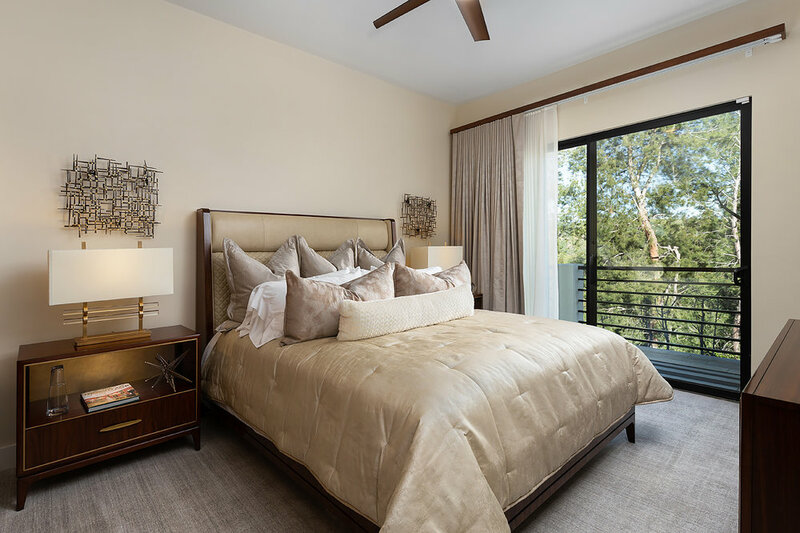 Artisan caliber entry doors introduce a 4,434 square foot main house defined by linear details, soaring ceilings, an abundance of windows, Fine Art light fixtures and designer studio furnishings. 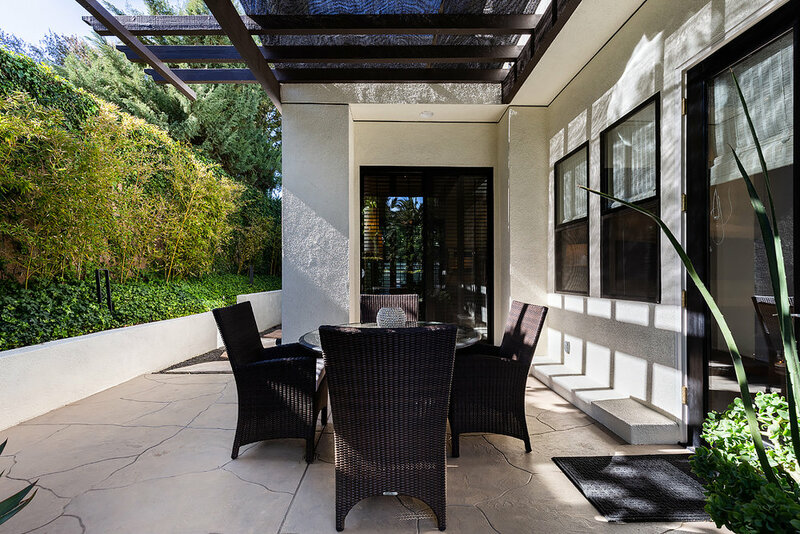 One wing with separate entrance is comprised of a large office/design studio with built-ins and lower level with bedroom featuring a private bath, living area with kitchenette and private patio access. 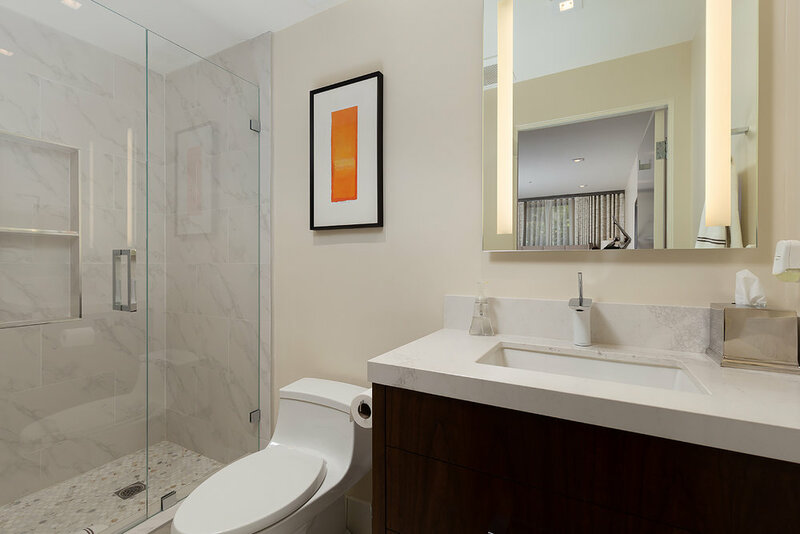 There are altogether 4 bedrooms in the home including an elegant master suite with fireplace, luxurious bathroom featuring a spa tub, stall shower with dual showerheads and customized walk-in closet, plus access to two private patios - one with hot tub. An intimate living room with floor to ceiling fireplace flanked by windows that bring the outdoors in is the ideal place to retreat after feasting on a gourmet meal prepared in the chef’s kitchen with stainless steel Wolf appliances and SubZero refrigerator and served in the elegant dining room with Fine Art chandelier. 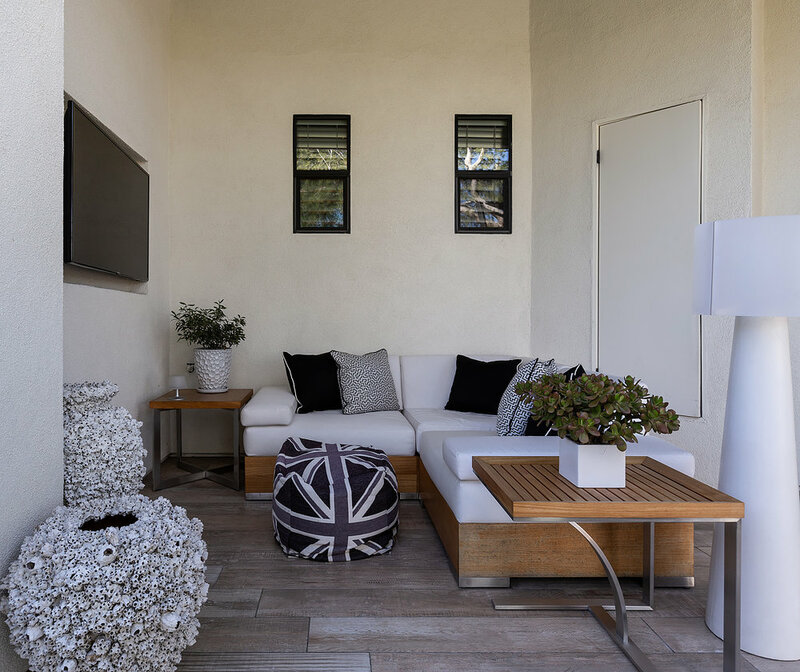 The Great Room with fireplace, media built-ins and walk-in wet bar and with seating also opens to the view-oriented patio with one of two built-in barbecue/outdoor kitchen areas. 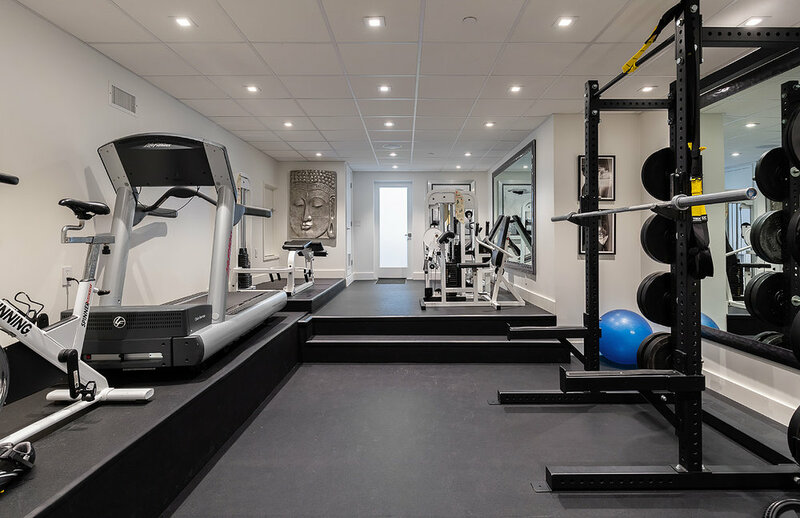 A state of the art, approximately 1,200 gym facility features rubber flooring, mirrored walls, kitchenette with refrigerator, surround sound stereo, ample equipment space, extensive built-ins and separate massage room with dry sauna. 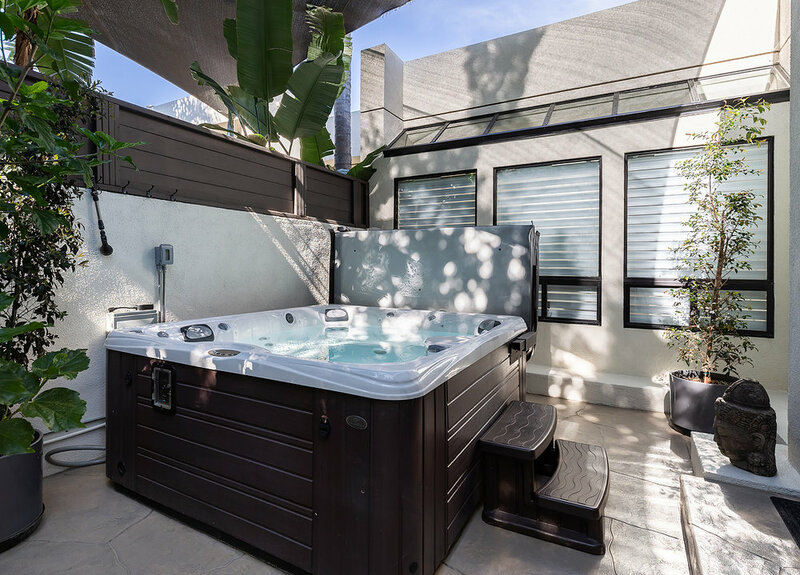 In addition, the property features a built in stereo system for indoor and outdoor use, an indoor laundry room, 4 central & forced air units, 3 water heaters, a whole home water filter system and an attached 3-4 car finished garage with custom built-ins, epoxy flooring and automated blinds. Nearly every window in the home features motorized draperies and Hunter Douglas blinds, while custom LED lighting, wood flooring, high grade wool carpeting, custom baseboards, elegant Caesar stone countertops and Grohe fixtures and a sophisticated whole-house automation system reflects the discriminating attention its owners have given to every detail. 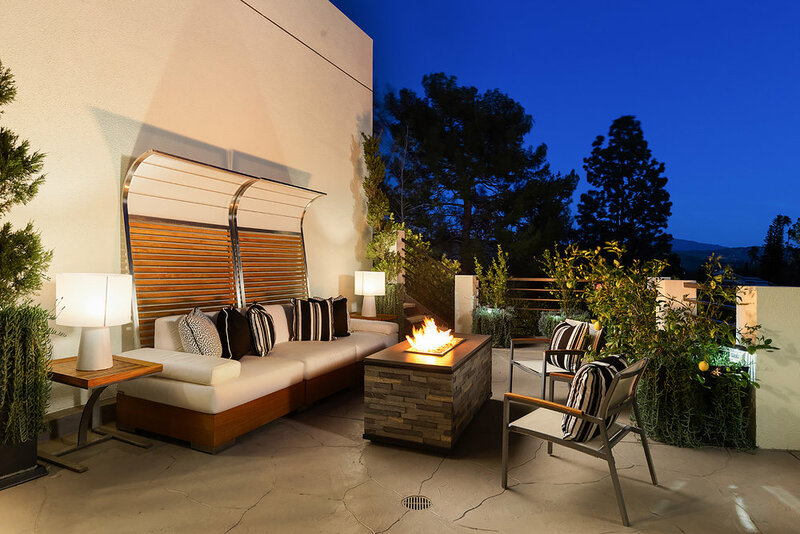 The thoughtfully planned, resort inspired backyard provides a stunning lighted environment infused with impressive stone hardscape that is ideal for the entertainer seeking ultimate privacy with various patios for sunning, barbecuing, dining fireside or simply relaxing under the stars. 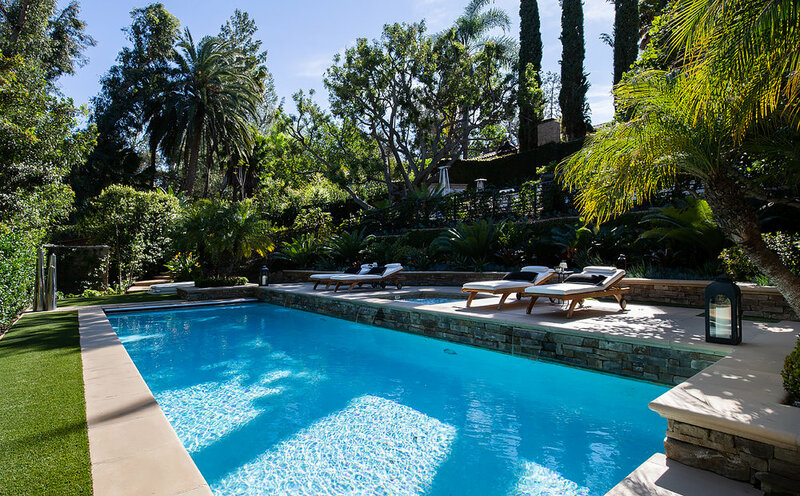 There is also a salt water pool and spa with automated cover, an outdoor shower and walkways created for meandering through the gardens and savoring the beauty of nature that is truly unspoiled.